Who doesn't love smelling like a bunch of fresh flowers and enjoying supple skin all day long? Well, we sure do and when the folks at The Body Shop introduced us to their new range - British Rose about a month back, we were both super happy and a little skeptical. Happy, because the packaging took our breath away, and skeptical because our past experiences with products that contain Rose as the main ingredient wasn't very memorable. Fortunately for us, the British Rose range was nothing like the stuff that made us cringe at the whiff of a strong rosy fragrance (remember, the kind of products that make you feel like you've bathed in rose attar). 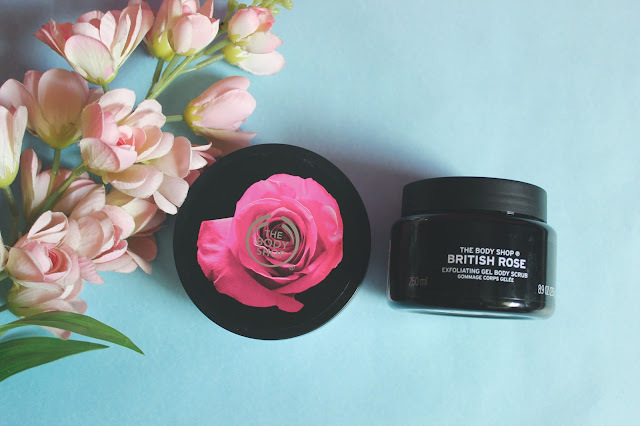 On the contrary, The Body Shop has got a luxurious and sinful collection in the form of British Rose, which is perfect to indulge in on a sultry afternoon. Read on to know more. What do they promise? : The British Rose range is a British interpretation of a timeless icon of femininity. Our organic roses are hand picked, air-dried and then infused. Giving us exceptional quality rose essence for our products, leaving you glowing. What does it promise? 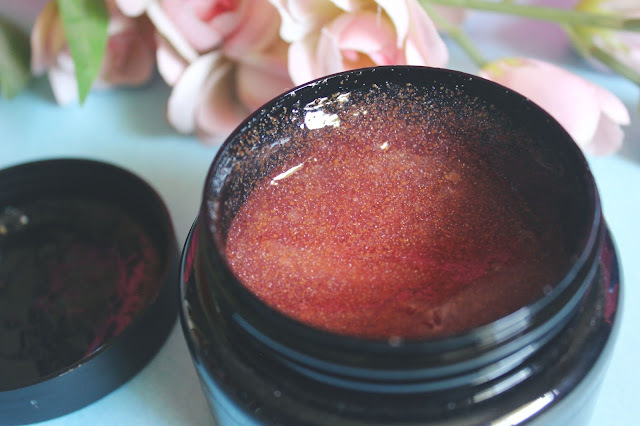 - Exfoliating feels exquisite with this beautiful gel textured body scrub with real rose petals. Infused with the essence of roses from Britain, it effortlessly melts onto the skin and gently refines to reveal smoother, fresher skin. 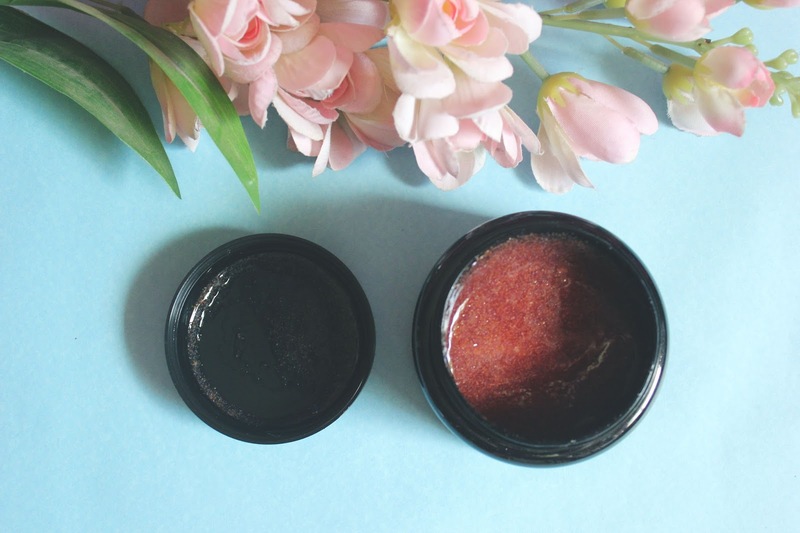 Packaging: Housed in a chic black jar, which is sturdy and makes the product easy to use. We took it along on a trip and the product did not spill. 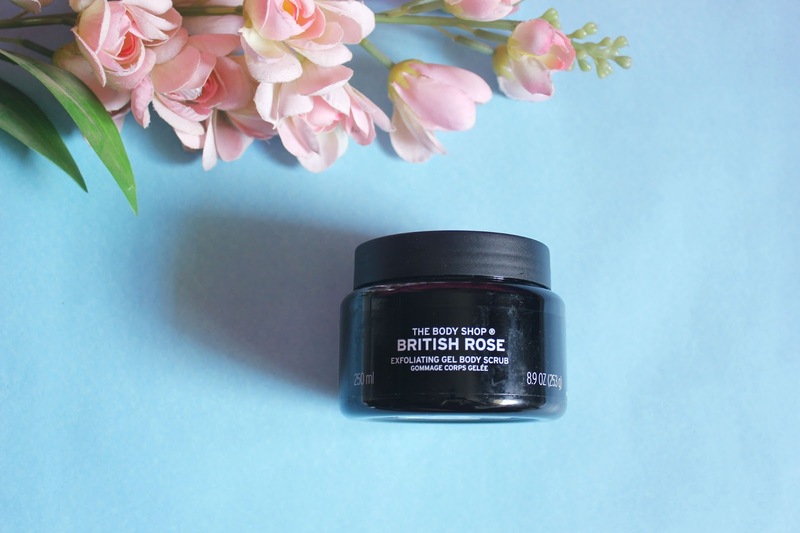 Our experience: Easily one of the best scrubs launched by The Body Shop in recent times, the British Rose Exfoliating Gel Body Scrub is gentle on the skin. True to its promise, the scrub leaves your skin feeling smooth and supple. The gel based texture of the scrub makes it perfect for even those with sensitive skin (and I am one of them). The rich fragrance of British Rose is soft and aromatic; enough to make your regular shower feel like a royal bath. The scrub does a great job of getting rid of dead skin cells and ensures that you leave the shower feeling clean and fresh. The fragrance lasts for a good 2-3 hours post shower. What does it promise? 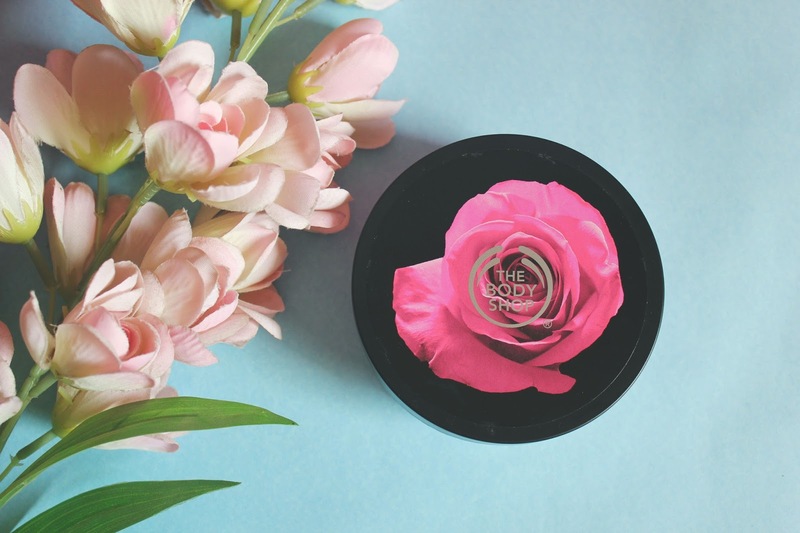 - Indulge in dewy hydration with our first Body Butter with glow enhancing rose essence. Beautifully pearlescent, this velvety-soft moisturiser is light to the touch but rich on moisture. The product gives you an instant all-over healthy looking skin. Packaging: This one is packed in the signature body butter jar by The Body Shop. Though, we like the rose pink hue, which makes the jar look very chic. Our experience: Ah! The delightful aroma of hand-picked roses. Truly, The Body Shop has hit the bulls eye with this one. 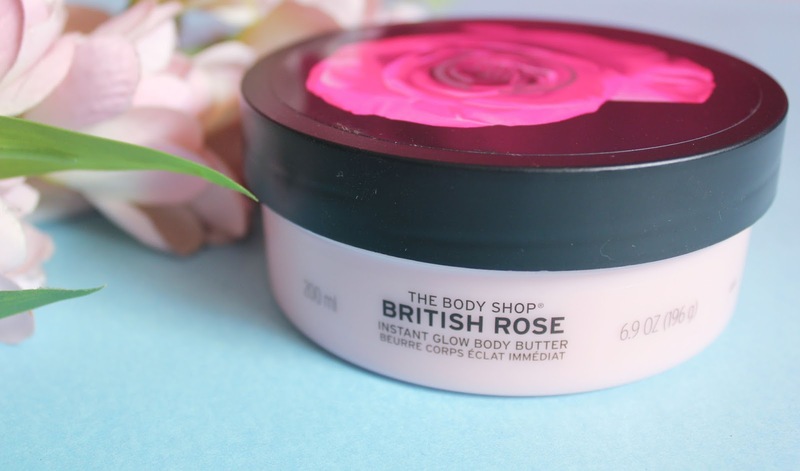 British Rose Instant Glow Body Butter is our favourite from the range. While we can't vouch for the 'glow' factor, it certainly does a great job of ensuring that your skin stays hydrated and soft for 6-7 hours. Plus, the fragrance is an added bonus, which is not too overpowering or subtle either. The soft, rosy aroma of the butter makes you feel fresh and delightful all day long. Keeping the humid weather of our city in mind, we were a bit nervous about applying a body butter on an afternoon that touched 36 degrees. 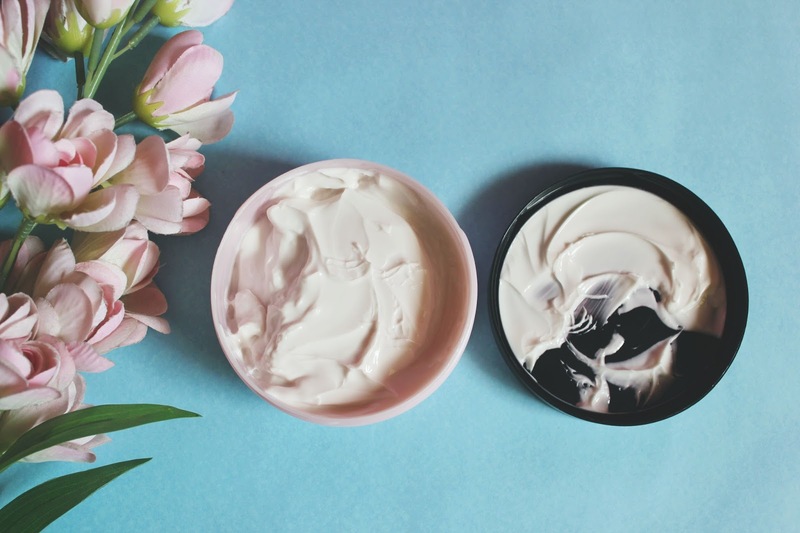 However, despite being a body butter, the product is not too greasy or sticky. In fact, the silky butter glides on well and gets absorbed rather quickly. Perfect for dry and sensitive skin, especially those who are looking to pamper their skin and keep it well hydrated throughout the year. We loved it! Verdict: This one is our 'Pick of the Month' for a reason. Our experience of using the products has been a pretty good one, especially the body butter. A shower with this scrub is equal to enjoying a luxurious bath with a tub full of water with rose petals. We highly recommend the British Rose range to those with normal to dry skin. Have you tried this range? If yes, join the discussion on Twitter or leave your comments below to let us know your experience. I loveeeee this body butter. I will get this again but sadly, it's always out of stock here. I can see why.